How do you generally react when you are fearful? Do you back down? Retreat? Pretend ‘it’ does not exist? When faced with a situation that initiates an element of fear in you…. the stomach somersaults, the swirling ‘what ifs’ in your head, a stammer, damp palms, perspiration… What do you do with that? Sometimes the situation calls for an immediate reaction, and if it saves your life then great! 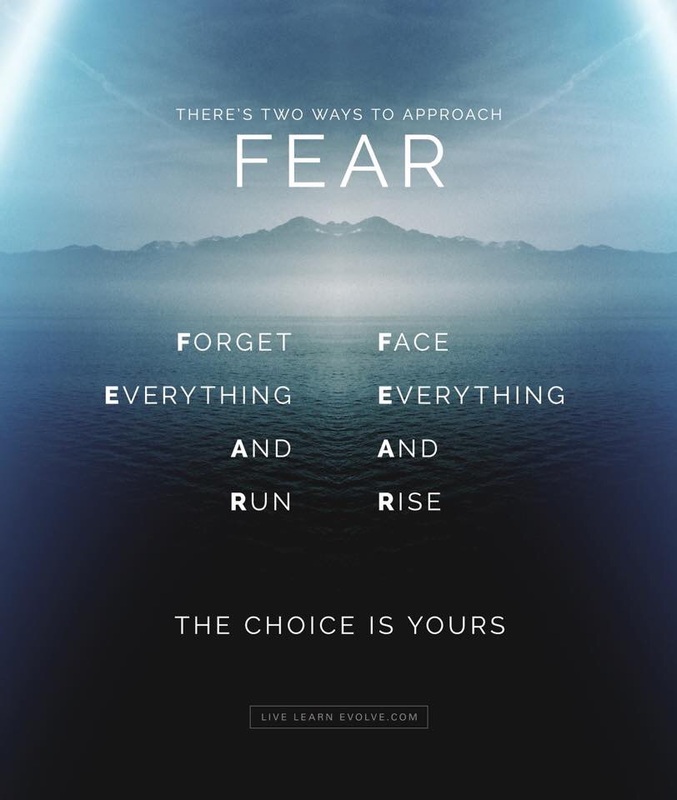 But if the reason for your fear is not life threatening, I find it is most helpful to retreat or step back, consider your options, and then make your choice. In November last year, I was wanting to make a choice regarding my career, I knew what I wanted to do, but it still existed as a dream rather than a realistic option. Fear prevented me from even choosing. I decided that the only way to gain clarity, was to put pen to paper and journal my thoughts. The end result was a brief story of my life thus far. The final line read, ‘Do I trust and leap off the edge, or do I slide down the slippery slope a bit at a time? Just putting that story on paper, out of my head and into the universe, brought the answer directly to me within a couple of weeks. I took a breath and leapt. I am so happy I made that choice. It would have been so easy to forget everything and run, but that would have been a betrayal to myself.